The cities of Chesterfield and New Baltimore are a must-see for anyone who is considering moving to a beautiful area on the Western Coast of Lake. St. Clair. The Tom Lipinski Team is very knowledgeable and experienced in the area, and eager to show you around! If you are considering purchasing or selling a home in Chesterfield or New Baltimore, The Tom Lipinski Team is your local expert. 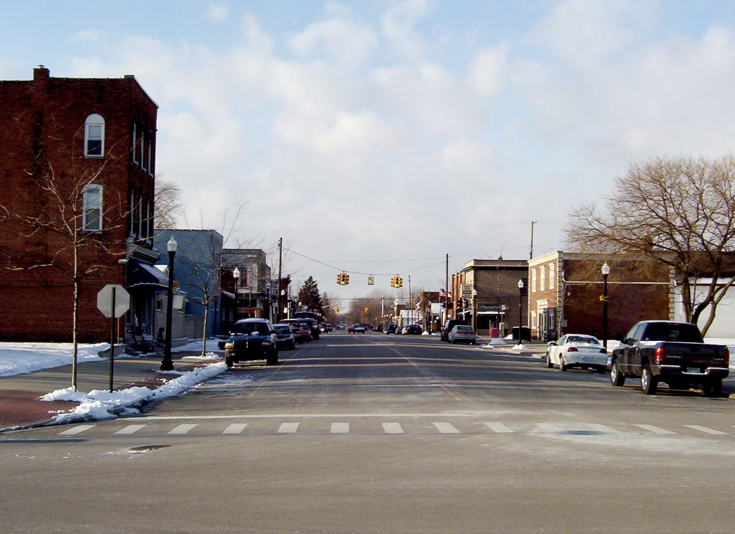 Located in the Northeast quadrant of Macomb County, Chesterfield is approximately 30 miles north of Downtown Detroit. Chesterfield’s land mass consist of a little more then 26 square miles and our entire eastern boundary is along Anchor Bay in northern Lake St. Clair. The population of Chesterfield is currently 45,027 and has grown substantially in the last 30 years. In 1980 the population was 18,276. In 1990 the population was 25,905 and the most recent census in 2000 reflected a doubling of resident since 1980 to 37,405. Three public school districts serve the educational needs of your school age population. Anchor Bay Schools, www.anchorbay.misd.net, L’Anse Creuse Schools, www.lc-ps.org, and New Haven Schools www.newhaven.misd.net all provide a wide range of programs to assure an outstanding educational experience. The township municipal services include our own Police and Fire departments and the quality of living is enhanced by a Parks and Recreation department, Water department, Public Works department and Senior Center. Our Municipal Building located at 47275 Sugarbush houses the Offices of The Supervisor, Clerk and Treasurer as well as the Building, Assessing, Planning and Code enforcement services. The City of New Baltimore is located in the northeast corner of Macomb County bordering beautiful Anchor Bay located on the coastline of Lake St. Clair. The City is approximately 30 minutes northeast of downtown Detroit, Michigan. New Baltimore is 4.6 square miles with a population of 12,084 as of April of 2010. It is the fastest growing community in Macomb County. The City of New Baltimore was incorporated as a village in 1867 and as a City in 1931. New Baltimore is a home rule City with a strong Mayoral form of government. The Mayor’s Office is an elected position with a two-year term. The City Clerk, Treasurer and City Council positions are elected positions each with a four-year term.